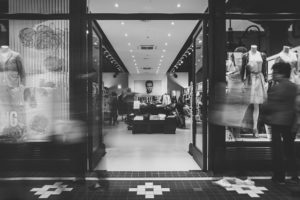 With Thanksgiving behind us, the winter holiday season is in full swing, and for most retailers, it is the most busy and hectic time of the year. The holiday season may be when your business makes up for sluggish sales during the slower months, but security problems could have a major impact on your bottom line. Don’t let theft and other disasters cut into your profits. Check out these security tips to protect your business this holiday season. If you haven’t checked your video surveillance equipment, now is the time to make sure it is working like it should. Does your business have a different layout for the holiday season? If so, it is also important to check to make sure that the cameras are still positioned in a way that provides optimal coverage. Double check that all connections are tight and that your DVR is recording properly. Your security cameras won’t do much good if they are obstructed by decorations and displays. Also, watch out for things that set off motion sensors. Balloons are particularly notorious for triggering false alarms during the holiday season. If your business has a panic button, also known as a holdup button, test it to make sure it is working properly. Before you do this, contact your security company to let them know that you will be conducting a test. Do you need to hire additional staff to help your business keep up with demand during the holidays? If so, be smart about the people you hire. Always perform background checks, and don’t give your seasonal employees any more access to restricted areas than usual. An access control system is a good way to ensure that seasonal employees only have access to areas where they need to gain entry and only during the hours you specify. Theft by employees is a major problem for many retail businesses. Restricting access to stockrooms is one way to prevent this all-too-common problem. Limiting how many people have access to this area helps keep sticky fingers at bay. Your security system and access control system play a vital role in protecting your business, employees and customers. It is still your responsibility to keep an eye on things, though. Pay attention to your customers as well as your employees, and remember to never leave valuable merchandise unattended. Make sure everything you have in place to protect your business is working like it should, and don’t hesitate to contact a security professional when necessary. At Colorado Security Products, we are here to help you keep your business secure during the holidays and throughout the entire year. If you need help from a trusted security company, please contact us. Call 303-756-1000 for business security systems and more.